Learn about making the right money decisions with these tips. It’s important to be smart about your money. 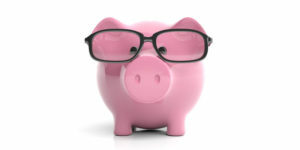 The smarter you are about your money, the better able you are to plan for the future. Check out what you need to know about being money-wise with these tips. When it comes to keeping your finances in check, it’s important that you’re aware of your credit score. You need to be aware of your credit so that you’re able to make major purchases such as a home. Review your credit report at least annually so that you know where you stand and so that you can make any necessary changes. It’s important that you’re aware of how you stand financially. Look at all your assets, bonds, savings accounts, and investments and compare them to your debts such as student loans, bill, and mortgages. It’s important to know what you’re worth so that you’re better able to plan for the future. When it comes to your finances, it’s important to plan for the future. The better you plan for the future, the more financially stable you’ll be. Set the right financial goals based on the short and long term so that you can make a plan to achieve your goals. You can also make the necessary adjustments so that you’re on the right track to achieve your fiscal goals. Investments are a major part of your financial portfolio. Ensure that you’re making wise investments so that you’re best able to get the tools that you need to meet all your goals. When it comes to being smart about your money, ensure that you choose the right insurance policies. Contact the professionals at Robert J. Los Insurance Agency to find you the right insurance plan. Located in Hamburg, New York, we serve all your personal and commercial insurance needs.